ARIZONA: John McCain got a big gift the day after his 80th birthday by winning the Senate primary using dirt and lies against his opponent, Dr. Kelli Ward. Now America is faced with having the granddaddy of all neocons in the Senate for six more years. John McCain wants to send our shrinking military to even more places than has Barack Obama. He sees war with China over the South China Sea and with Russia over the Ukraine as inevitable events. Senator McCain worked with then Secretary of State Hillary Clinton to overthrow Muammar Gaddafi in Libya bringing on a humanitarian crisis and the beheading of Christians on a beach in that nation. McCain and Hillary Clinton then planned and implemented the overthrow of the democratically elected government of the Ukraine, nearly causing a direct conflict with Russia. Then came the John McCain/Hillary Clinton planned war to install a Sunni government in Syria that has caused the near destruction of the nation and rise of the Islamic State. of the Prayer Caucus, but after learning about it from me, he joined two days later. John Fleming is a medical doctor and a born-again Christian from a working class family. He helped his dad care for his mother who had become disabled, and then just before he left for his freshman year of college his father died of a heart attack. He worked his way through school at the University of Mississippi while helping to support his family. He attended medical school on a Navy scholastic and served as a doctor in the Navy for several years before settling down with his wife Cindy at the last place he was stationed in Louisiana. Dr. Fleming has served the people of Louisiana not only as a doctor but as businessman. At a time when no one in the region had ever heard of a Subway store, Fleming opened the first franchise there and now employees hundreds of people in Subway stores all over the state. He first ran for Congress in 2007 and is experienced, but will still bring fresh ideas to the Senate. In the past GING-PAC has endorsed John Fleming for the House; there he maintained a 100% pro-life and pro-family voting record, and GING-PAC now endorses Dr. John Fleming for the Senate. The November 8th general election is actually the date of the Louisiana “gorilla primary” with several Republicans and Democrats running. If John Fleming does not get 50% plus one vote, there will be a run off on December 10th. This is one we really need to win! 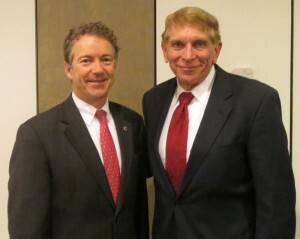 Senator Rand Paul (R-KY) and the chairman of GING-PAC William J Murray. KENTUCKY: Senator Rand Paul is back in action in the Senate after shutting down his presidential campaign. One of his first orders of business was to demand a halt to arms shipments to the despotic regime in Saudi Arabia. One out of every three American made bombs dropped on Yemen in the past 18 months have hit civilian targets such as public markets, stores, schools and hospitals. Several clinics run by Doctors Without Borders have been destroyed by Saudi strikes using American made weapons. We need more like Rand Paul in the Senate. He is facing a well-financed opponent in Jim Gray, the mayor of Lexington, Kentucky. Democrats are really pouring money into the state to knock off Rand Paul, because of the strong appeal he had with the youth in his presidential run. Liberals want this pro-life Senator out of politics. 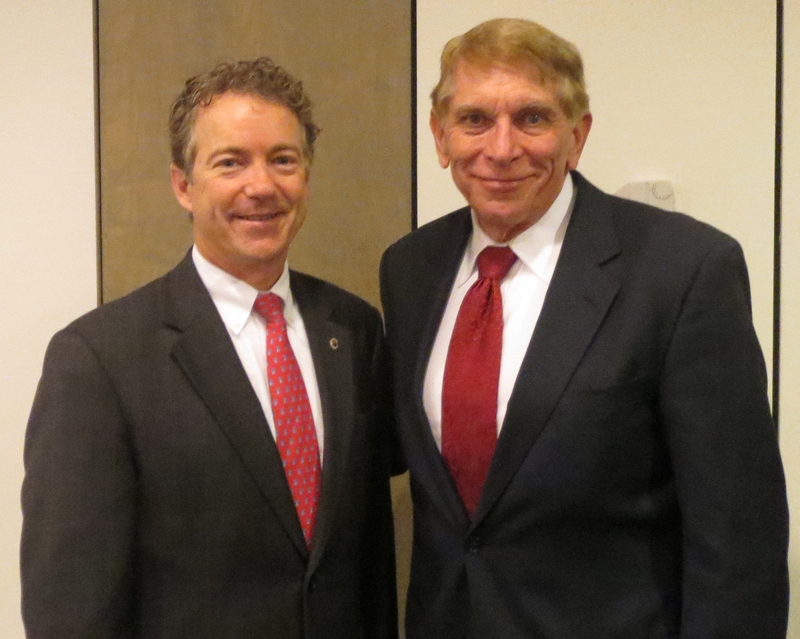 Senator Rand Paul’s stand against overthrowing secular governments in the Middle East, his stand on Saudi Arabia and his Christian faith have earned him my personal endorsement and that of Government Is Not God – PAC, as I mentioned in the last update. As the election nears, I urge you to donate directly to the Rand Paul campaign. For the most part in 2016, GING-PAC has centered on Senate races because the Supreme Court is so important. Regardless of who is sworn in as President on January 20, 2017, that person will appoint at least one, and probably more Justices to the Supreme Court. Those Justices will be vetted and confirmed by the Senate. A Democrat controlled Senate would block conservative appointments by Trump, or would allow Clinton to name radicals to the Court. There are some House races, however, that I am interested in for the sake of social conservatism. One of those is the seat being vacated by Dr. Fleming in Louisiana, as he runs for the Senate. 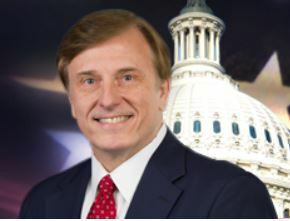 LOUISIANA: State Delegate Mike Johnson is the choice of GING-PAC for an endorsement in the 4th District. Johnson is a former litigator and spokesman for the Alliance Defending Freedom, a conservative Christian nonprofit organization with the stated goal of “defending the right to hear and speak the Truth”. The founders of the group included Bill Bright and Dr. James Dobson. Mike Johnson has actually litigated as an attorney in cases for that organization, defending the rights of Christians. Mike Johnson has received the “Champions for the Faith” award from the Southern Baptist Convention and the “Family, Faith and Freedom” award from the Family Research Council. I look at him as a possibility to replace Randy Forbes as the chairman of the Prayer Caucus as Randy leaves Congress this year. Mike is way ahead in the polls, but this is the Louisiana “gorilla” primary, which means that he will have several Republicans, Democrats and independents running at the same time on November 8th just as does Dr. Fleming running for Senate. In these situations, anything can happen, including the top two candidates in the runoff both being from the same party. CALIFORNIA: There is a really good chance that a conservative Republican can win a Democrat held seat in the 16th District which is amazing because the districts have been so gerry-mandered by the Democrat controlled state government. Johnny Tacherra, a respected local farmer, actually won two years ago and went to Washington to the orientation for new congressmen. Before he could be sworn in though, thousands of new votes were somehow “found” and the certification he had won was revoked. This time around the pro-life candidate has the backing of the GOP, something he lacked two years ago, and a lot of money is being spent to stop fraudulent voting. When I met Johnny Tacherra I was struck by his down to earth Christian values and humbleness. We need this man in Washington, DC.